The Indian arm of Vodafone Group faces tax liability of over Rs 20,000 crore over its 2007 acquisition of Hong Kongbased Hutchison Whampoa's Indian mobile assets. The finance ministry is looking into the controversial issue of tax disputes faced by telecom firms like Vodafone India and Nokia. The finance ministry is looking into the controversial issue of tax disputes faced by telecom firms like Vodafone India and Nokia. Telecom minister Ravi Shankar Prasad in his first formal press conference since taking over three weeks ago said here on Tuesday, "As far as resolution is concerned, as I told you, the finance ministry is looking in to it." The Indian arm of Vodafone Group faces tax liability of over Rs 20,000 crore over its 2007 acquisition of Hong Kongbased Hutchison Whampoa's Indian mobile assets. The British company has rejected the demand saying any tax, if due, was on the seller rather than the buyer. Besides, Nokia was forced to abandon the transfer of its Chennai plant to Microsoft Corp in April, part of the software company's acquisition of the Finnish firm's handset business, because of a tax stand- off. 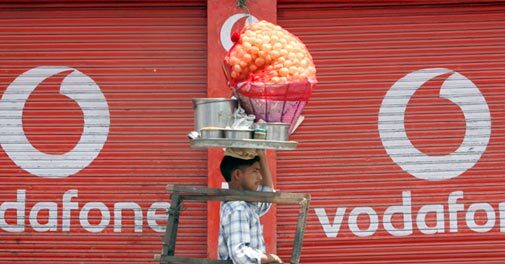 On Vodafone's recent disclosure that India was among the 29 nations that sought access to its network to intercept calls, SMSs and e- mails, Prasad said, " I asked my department to examine the whole issue in consultation with them ( Vodafone) and thereafter whatever appropriate follow- up has to be taken." Vodafone has not mentioned the number of requests made by India as Indian laws don't allow disclosure of information on interception and communications data. The report also did not mention if Vodafone complied with all the requests made by India. Under the new government, the ministry has decided to give a big push to the manufacturing of electronic goods. The government has identified eight cities where companies setting up electronics manufacturing facilities will be eligible for incentives, including subsidies.